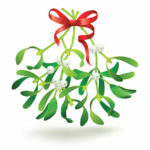 Kick off the holiday season at Mistletoe Market! Our holiday market attracts over 8,000 shoppers annually and features unique vendors, special events, and performances for the entire family. Thursday, November 15 | 7:00 – 11:00 p.m.
Friday, November 16 | 9:00 a.m. – 12:00 p.m.
To purchase tickets, contact a JLT member or click below. The Junior League of Texarkana, Inc. (JLT) is an organization of women committed to promoting voluntarism, developing the potential of women, and improving communities through the effective action and leadership of trained volunteers. Its purpose is exclusively educational and charitable.